Mountain View Lodges & Gallery is the newest resort in The Wilds of Michigan! Nestled in the foothills of the Porcupine Mountains, right on the sandy shore of Lake Superior, just 50′ to 100′ from the water! Our northern Michigan “cabin” rentals offer all the conveniences of home in a majestic wilderness setting. The two-bedroom cabins boast fully equipped kitchens, screen porches, BBQ grills, CATV, phones, and WIFI. Gaze at the vibrant sunsets while enjoying a toasty fire on the beach. Or take in the vista of the shoreline from one of the kayaks available to guests. If you have not visited the Porcupine Mountains Wilderness State Park in Silver City, Michigan, make this the year for your Michigan vacation! There are a profusion of activities to occupy one’s time year round. Mountain View Lodges offers close proximity to numerous hiking trails, abundant waterfalls, shops, museums and historic sites, Ontonagon County is where history comes to life. Snow lovers will love the skiing, ice fishing, and snowmobiling opportunities. We are also an excellent location for planning day trips to other popular attractions, such as the Keweenaw Peninsula’s Copper Harbor. Just a short drive from Chicago, Illinois, Minneapolis, MN, or Madison, Wisconsin. Visit the undisturbed landscape of Michigan’s Western Upper Peninsula on the largest of the Great Lakes, Lake Superior! The “Porkies” area has so much to offer! 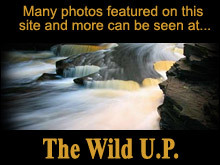 Known as Copper Country, the area is infused with Mining history, wilderness, wildlife, whitetail deer, and black bear. Outdoorsmen will appreciate the hunting, fishing, and boating. Fish the many miles of rivers, streams and lakes or explore the forests, lighthouses and real estate! Try a pasty, explore the area shops. A true Northwood’s experience on the South Shore! When you check in, we will provide all you need to make your vacation one to remember! Watch our live streaming video. See the Aurora Forecast for tonight.